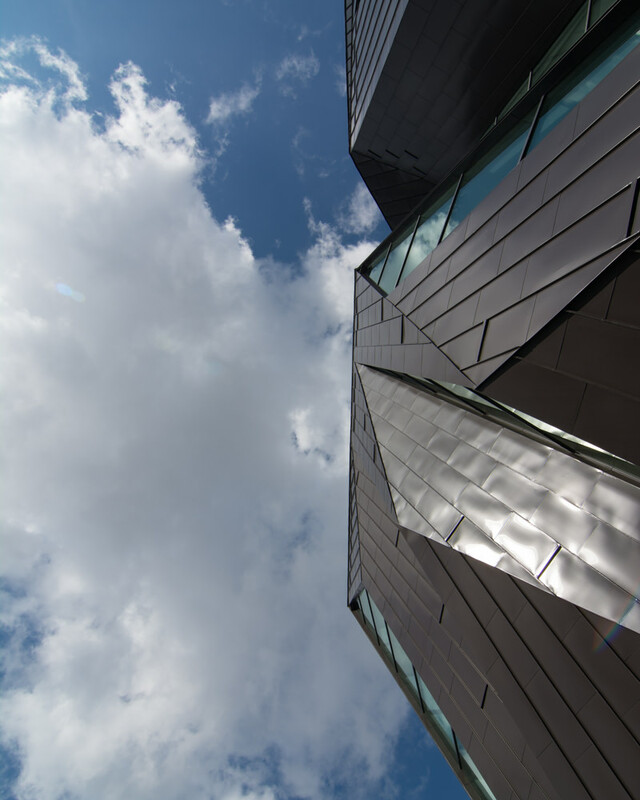 Established by an IMO Assembly Resolution in 1983, the aim of WMU is to further enhance the objectives and goals of IMO and IMO member states around the world through education, research, and capacity building to ensure safe, secure, and efficient shipping on clean oceans. 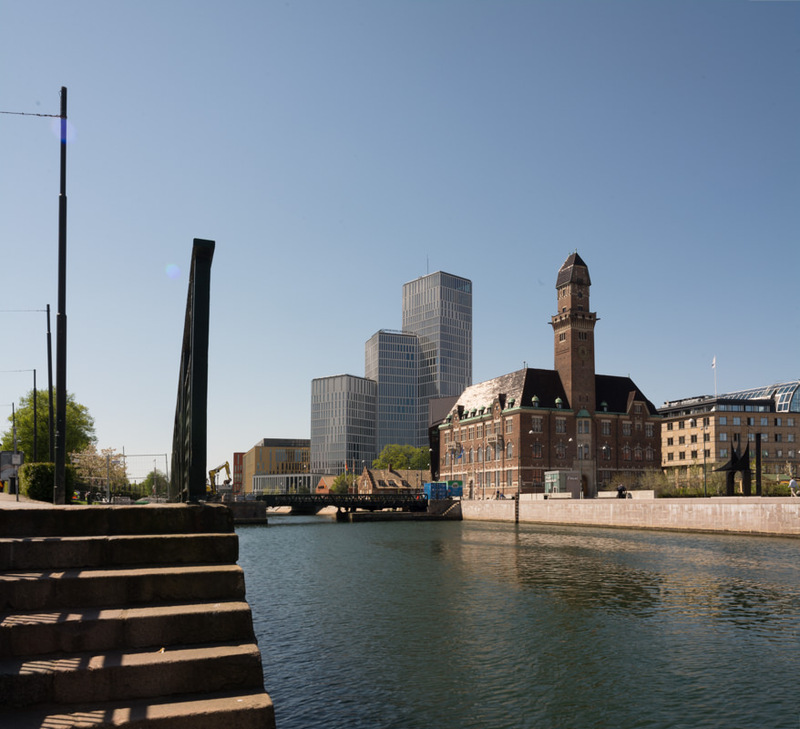 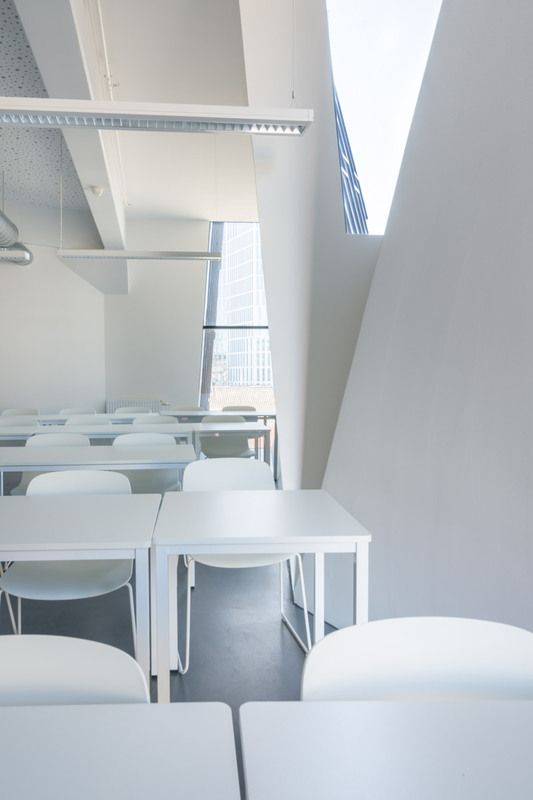 In April of 2015, the University moved to the historic Old Harbour Master’s Building in the centre of Malmö. 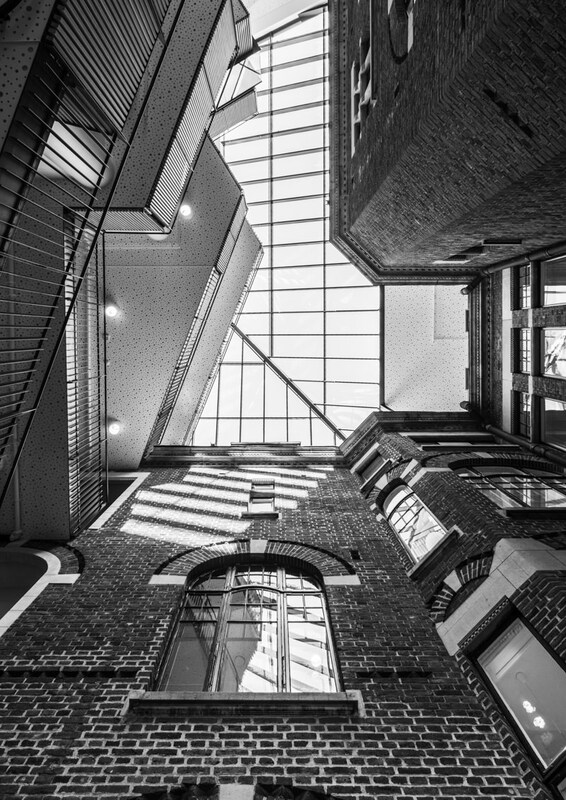 The century-old building is a city landmark and is supplemented by a dramatic new addition designed by the renowned Danish architect Kim Utzon of Kim Utzon Architects in collaboration with Australian architect Tyrone James Cobcroft of Cobcroft Architects. 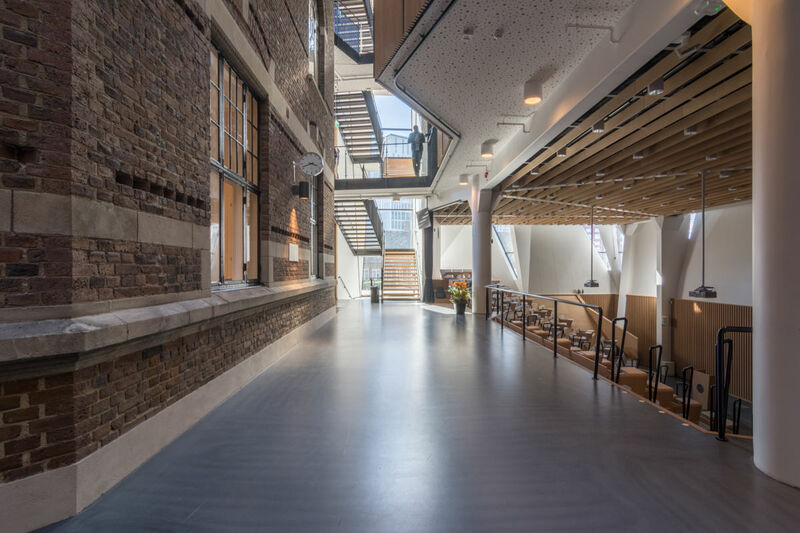 The two firms won the project in 2011 after a three-stage international competition with the collaboration continuing throughout all stages of the project to completion. 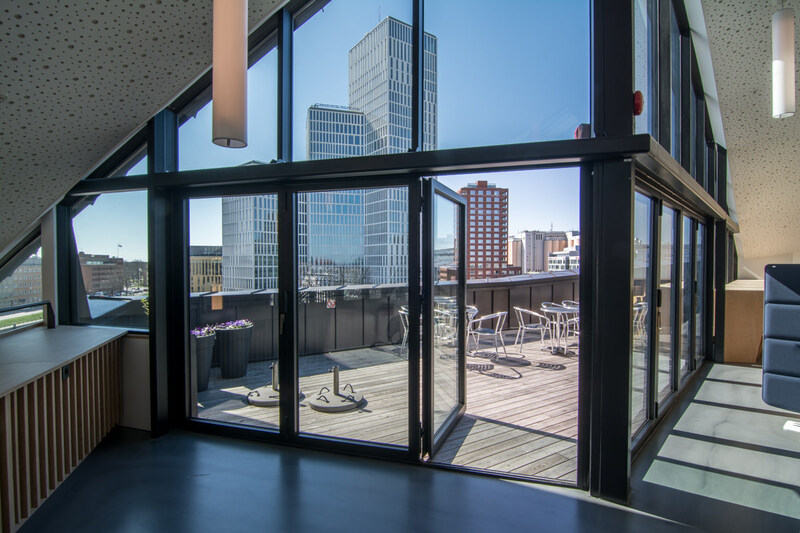 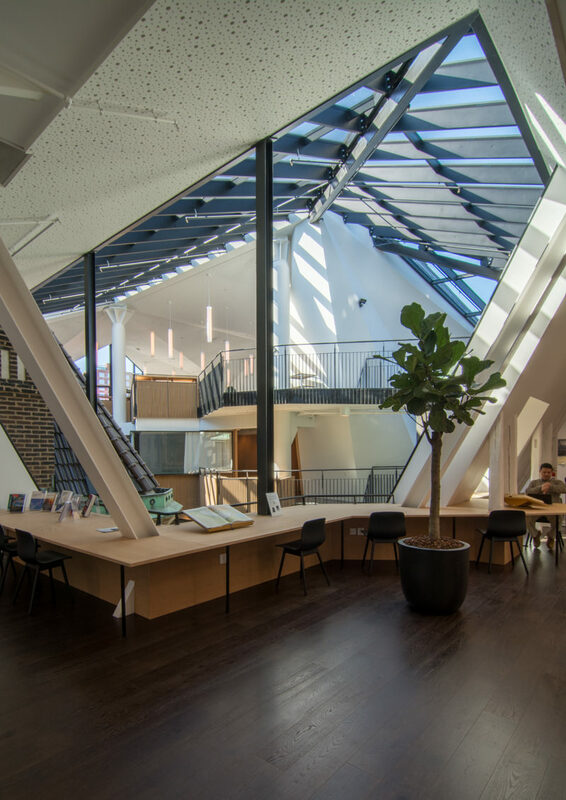 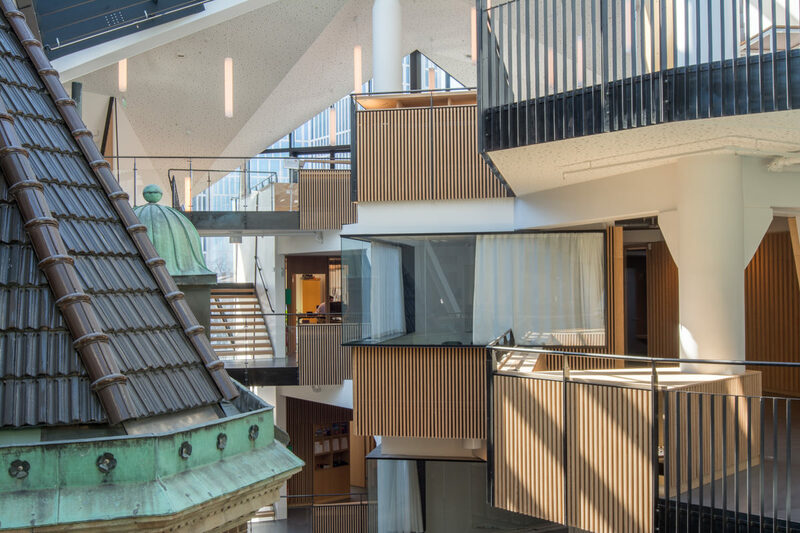 The architects says that the building was conceived as a spatial “hinge” that marked a transition point on the street extending from the old town of Malmo to the harbour area where the building is sited. 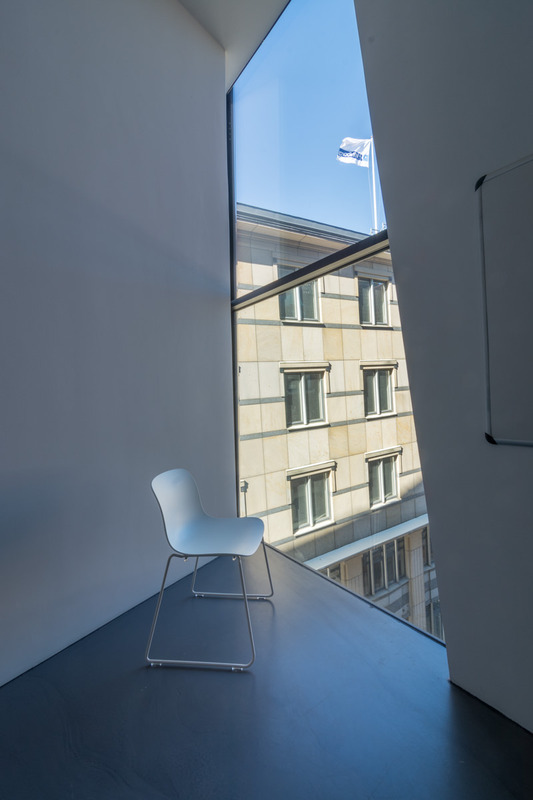 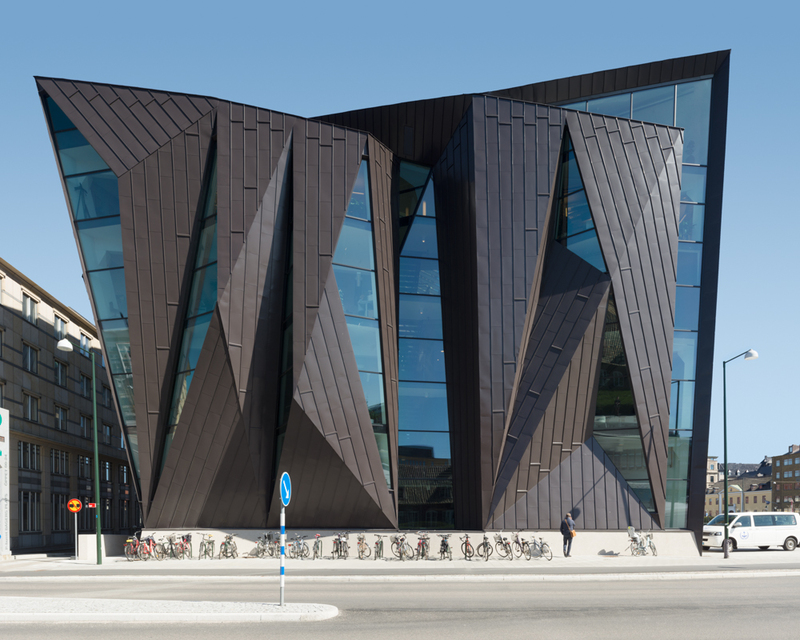 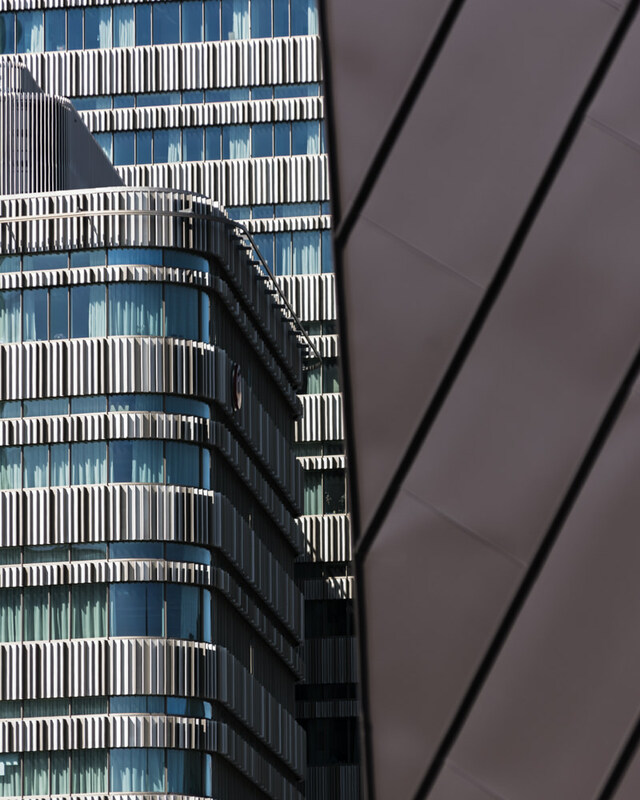 The conception of the building as a “hinge” prompted the two firms to explore a folded plate language for the new building such that it could act as a hinge in the city and also a hinge between itself and the original “Tornhuset”. 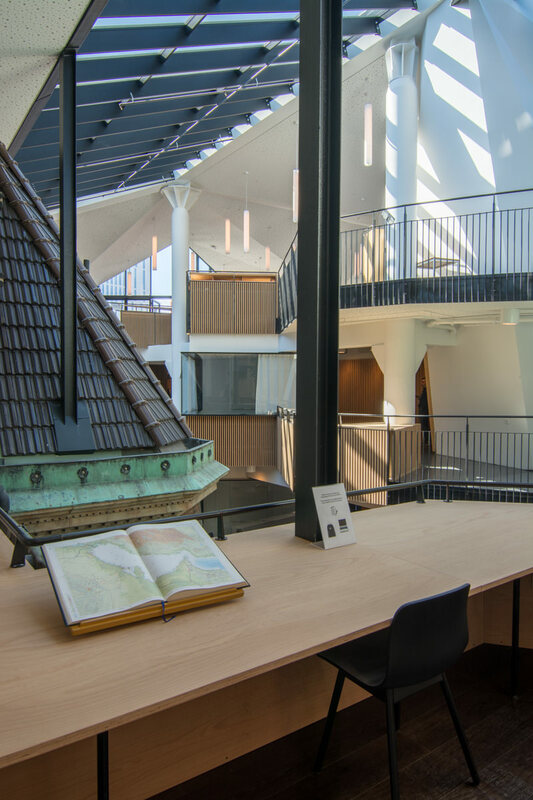 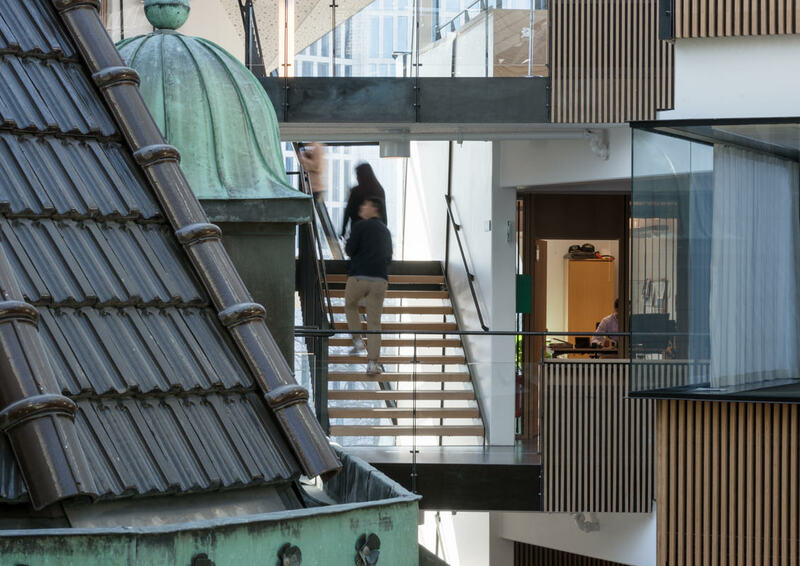 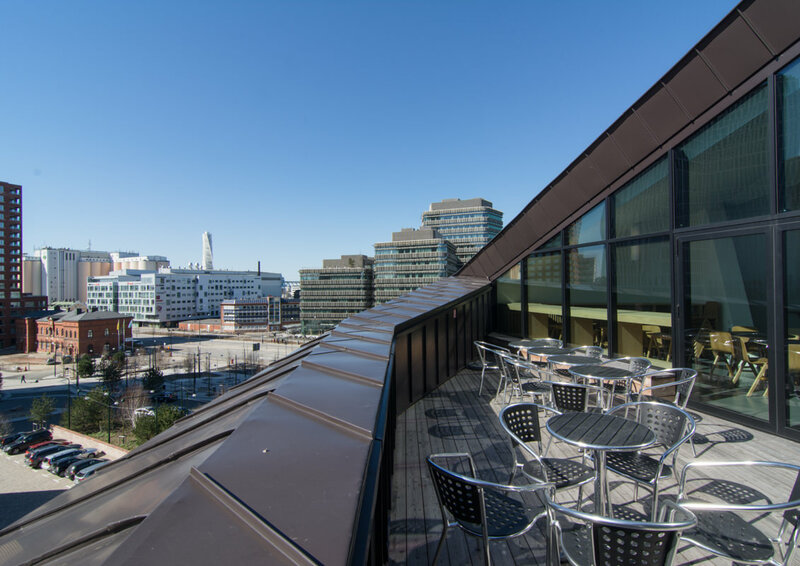 “The form of the project emerged from a fascination with the roof of the original Tornhuset, which at first glance looks conventional, but is an unexpected formal play based in a simple gable logic,” said the architects. 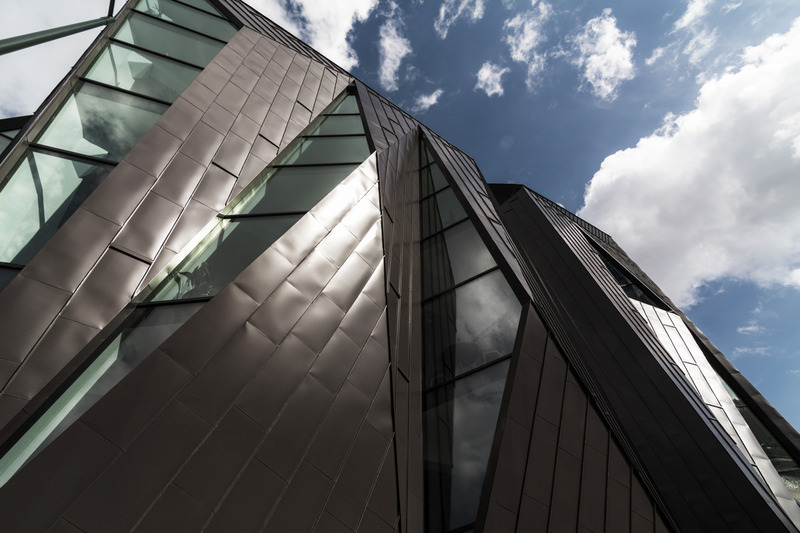 “We adopted a similar strategy, laying out a series of formal alignments with the existing building that were then elaborated upon in response to the need for views and also light penetration to the spaces within – all while presenting a largely solid form in elevation,” they added.